#DidYouKnow That you can make yummy #IceCream by blending in Fruits and yogurt? Ofcourse then you call it frozen yogurt instead. My favorite is to blend fresh mango and yogurt together, then freeze it to make my #IceCream. Custard IceCream can be prepared at home with a basic custard and double cream. I like to freeze and spin my Ice Cream in the blender a couple of times to get the right texture. Before for serving IceCream leave the tub out of the freezers for a couple of minutes to get the maximum and more pronounced flavor of the Ice Cream. #DidYouKnow Haagen Daas also has a Green tea flavored#IceCream ? I think it tastes like sweetened, frozen Mehendi. Although, a few of my tweeples really like the green tea flavored Ice Cream! 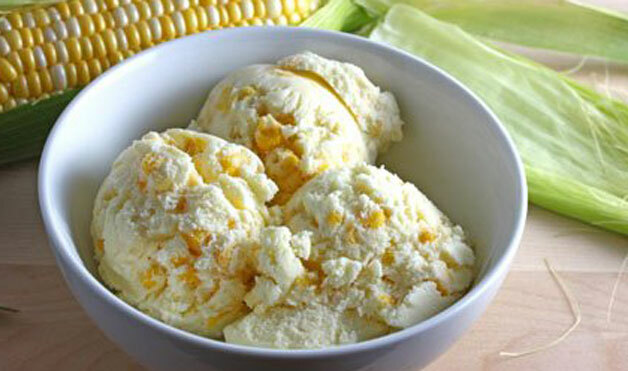 Check out this really strange SweetCorn #IceCream Would you care to try it out? Now does't this large #IceCream Cone look yummy! On a Hot Summer Day Like This .. #Mumbai It is Japanese! With Melon and mint included. 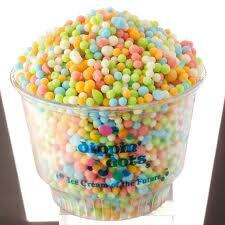 To me; biggest Invention in the world of #IceCream was@DippinDots IceCream Snacks also called #IceCream of the future. Space Dotz in #Pune Make Dots #IceCream by a freezing process to lock the flavor. It is an IceCream Snack. 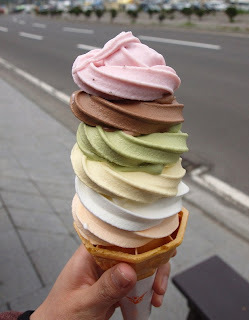 I am a big fan of Naturals #IceCream and their tender coconut, leechi and Watermelon flavors. I have even heard that Amul has a strawberry and Cheese flavor Ice Cream! Thought for today. #IceCream is happiness condensed. Where can I get Dotz ice cream in Pune?